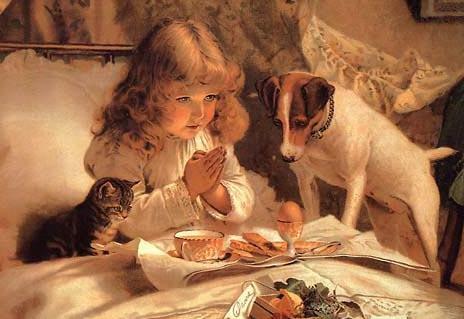 Pet and Animal Superstitions Page 9 at FamilyPets Net the Home of Family Pets and Animals. Three seagulls flying together, directly overhead, are a warning of death soon to come. To meet a flock of sheep on a journey is an omen of good luck. If sheep gnash their teeth during round-up in the autumn, the winter will be hard. If sheep gnash their teeth somewhere else, it presages very bad weather. Sparrows carry the souls of the dead, it's unlucky to kill one. Superstitious people probably don't kill spiders because it has been unlucky since a spider spun a web over baby Jesus to hide him from Herod. A spider with syrup cures fever. Seeing a spider run down a web in the afternoon means you'll take a trip. You'll meet a new friend if you run into a web. A spider is a repellent against plague when worn around the neck in a walnut shell. One superstition is a bag filled with 13 sow bugs tied around a child's neck will cure the child from the thrash, or sores in the mouth. Storks were sacred to Venus in Roman mythology. If a stork builds a nest on your roof, you have received a blessing and a promise of never ending love from Venus. Aristotle made killing a stork a crime, and Romans passed a stork law, saying that children must care for their elderly parents. A swan's feather, sewed into the husband's pillow, will ensure fidelity. Wolves were often said to have magical powers and wolf parts became an important part of many early medicines. Powdered wolf liver was used to ease birth pains. A wolf's right paw, tied around ones throat, was believed to ease the swelling caused by throat infections. The gaze of a wolf was once thought to cause blindness. Others believed that the breath of the wolf could cook meat. Naturalists of the day believed wolves sharpened their teeth before hunting. It was beleived that dead wolves were buried at a village entrance to keep out other wolves (a bizarre belief echoed today by farmers who continue to shoot predators and hang them on fence posts to repel other predators. Travelers were warned about perils of walking through lonely stretches of woods, and stone shelters were built to protect them from attacks. These shelters had what was called a wolf hole or a spy hole in which travelers could watch for wolves.